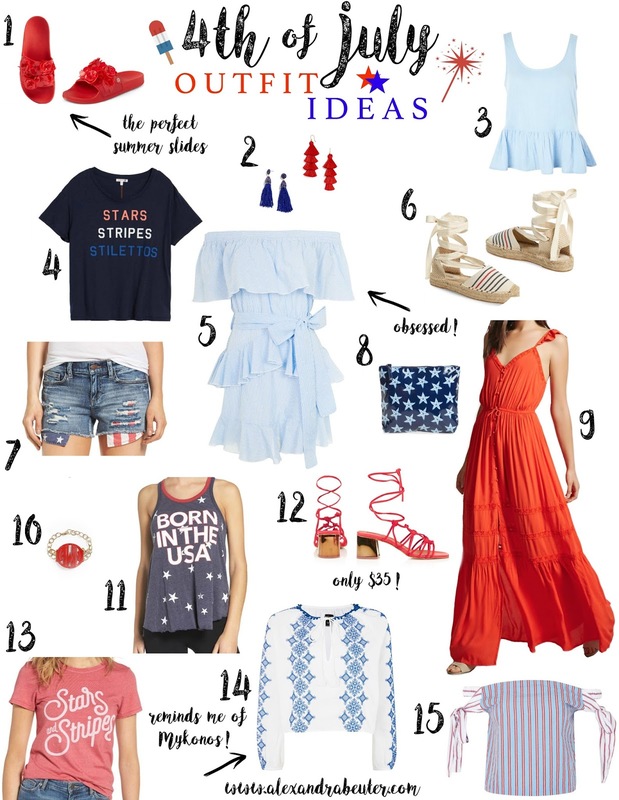 Alexandra Beuter: 4TH OF JULY OUTFIT IDEAS! My absolute FAVORITE holiday is the 4th of July! To me, it beats Christmas, Halloween, New Years, everything! I just love being outside all day, spending time on the lake with friends and family. Most of you I know will be doing the same thing! The outfit ideas for today's post are cute, comfy, and some have that "bumped up" but still casual look (my fave). When I create these outfit idea posts, I search through so many websites, to give you guys the BEST 4th of July outfit inspiration. If you like the tie front look, check out the picks below in the "You might also like" section. 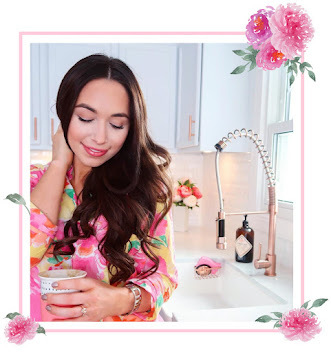 I hope you enjoy today's post and that your 4th is tons of fun! I NEED these! They're also available in black and white. SO cute! Because who doesn't love a peplum tank. With my white jeans, Tory Burch slides, and I'm good to go! If you need something a little dressy, this is PERECT for you! I'm in love with espadrilles and these are no exception. The epitome of cute, festive, and comfy. Are you going to be on the boat all day? Beach? You need this! I cannot believe this is only $25! Such a steal. Because monograms never go out of style. I love this! If you're festive like me, you will too. For the trendy girl, get them before they're gone! With white jeans, strappy sandals, done. One of my favorite pieces from today's post. The epitome of festive and on trend!